By Pamela Groseclose, Youth Service Associate, The Library Center, Springfield, Mo. Based on the popular book series “I Survived” by Lauren Tarshis, this program connected STEAM activities to historic events, natural disasters and other topics. Tweens (ages 8 to 12) visited various stations, where they played with a "tornado in a bottle," made aluminum foil boats, learned about sharks and more. My goal for this program was to engage readers with fun historical facts and STEAM activities that brought to life the science behind significant historical events. To do this, it took some advance planning. I started by reading the "I Survived" series and gathering supplies a few months in advance. This helped to familiarize myself with the series, and also helped me decide which books I wanted to use for activity stations. I chose to do eight broad stations inspired by the books: the Titanic, sharks, tornados, earthquakes, volcanoes, hurricanes, tsunamis and wars. Titanic: After participants briefly learn about the Titanic, challenge them to create a boat of their own using only aluminum foil. When they think their boat is unsinkable, put it to the test. Float the boats in a sink, then see how many marbles their boat holds before it sinks. Tornado: My region is located in tornado alley. For this station, set out a tornado in a bottle and share printed fun facts about tornadoes and real pictures of tornado damage. 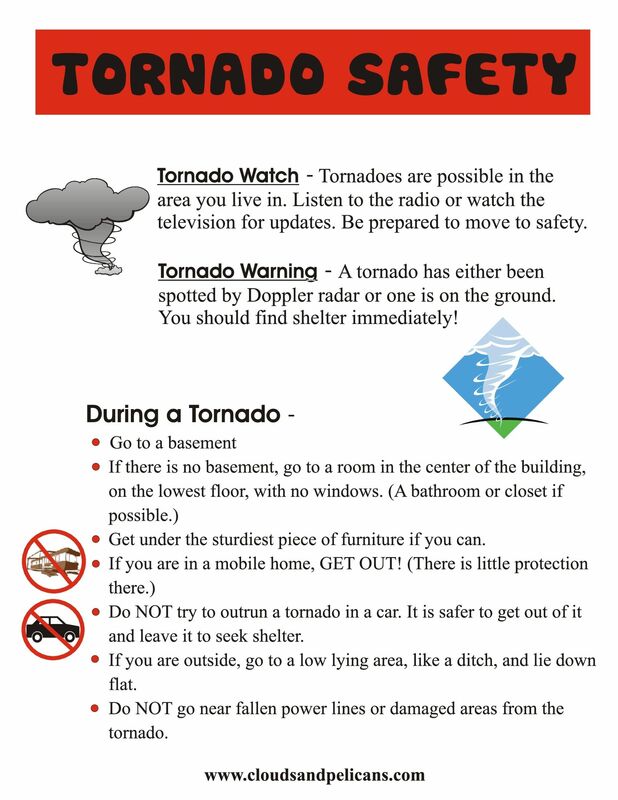 When participants are finished with this station, invite them to take a handout on tornado safety. Earthquake: Encourage participants to create a house using LEGO bricks. Once the house is created, put it to the test. Ask participants to shake the house on a cookie sheet to see if it will withstand an earthquake. Once the participant is finished testing their house, ask them to discuss what made the house stay up or fall down. Tsunami: Create an ocean in a bottle to set out. This bottle will help demonstrate how waves are formed. If time allows, pair nonfiction literature on the Japanese earthquake and tsunami for tweens to browse. It’s War! : In the “I Survived” series, the author touches on the Civil War and World War II. I decided to combine these wars in one station and set out fun facts and nonfiction books. I also planned an obstacle course made out of crepe paper, construction paper, balloons, and foam blocks my department already owned. Once the tweens made it through the obstacle course, they were invited to create their own fort with more of the foam blocks and some blankets. This became one of their favorite parts of the program, as they enjoyed tearing down and rebuilding the fort. Once they completed building the fort, I offered “I Survived” books and read-alikes, and participants enjoyed taking books into the fort to read. As I planned each station, I put books on hold, gathered supplies and created the pre-made activities, such as the tornado in the bottle. This early preparation was time-consuming, but paid off by saving a lot of time when the day of the program arrived. When planning this program, the only challenge I encountered was deciding which activities I wanted to do. Each station is flexible to allow more STEAM activities. With time constraints and limited supplies, it took some extra creativity to plan each station. This program was part of a Summer Reading Program series. To market it, we passed our fliers during our outreach visits to schools. We also set the fliers on our children’s reference desk. Whenever we saw someone that was within that age group (ages 8 to 12), or if someone asked about the “I Survived” series, we promoted the programs. This program was fairly low-cost. My library had many of the materials, so we spent only about $7. Some of the things we purchased were foil, streamers, olive oil (to make the ocean in a bottle) and balloons. To cut costs even more, evaluate the supplies your library already has and pick station activities that best meet your library’s needs and available supplies. In the weeks before the program, I collected books and supplies. This early preparation helped the program go smoothly. On the day of the event, the set-up took about an hour. With the help of one of my coworkers we were able to bring everything together fairly quickly. The most time-consuming aspect was setting up the obstacle course. The rest of the work consisted only of setting up tables and setting out books and other pre-made activities. This program was considered a big success. Although only 12 attended, the patrons that did attend were new patrons. As a librarian, this was a success to me, because I was able to share the love of reading with patrons that do not normally go to the library. After we did this program, many of the tweens came back and became regulars. One activity the participants especially enjoyed was building the fort, playing with LEGOs, and doing the obstacle course. A few parents commented that they appreciated the library doing something to celebrate a book series that their child loved. At the end of the program, I had trouble getting the participants to leave. They wanted to keep doing the activities, and they ended up checking out all of the books I had on display. Read the books and pair the books with nonfiction titles. Many of the participants that attend your program will be passionate about this series and will be interested to find out more. It is important that you are familiar with what happens in each book and can pair it with a nonfiction title to help answer questions and connect with the tweens that attend your program. Plan ahead. Depending on how many stations you decide to do, this program can be extensive. It is helpful to plan activities, and the supplies that you will need, early on. On the day of the program, have extra staff available to help you. If you decide to recreate the stations I used, it is helpful to have a staff member assist with the Titanic station. When participants test their boat, there is a tendency to spill water. It is helpful if a staff member can test the participants’ boats for them and be on hand in case water spills. The Library Center is located in Springfield, Mo. The city of Springfield is the third largest city in the state of Missouri, and the Library Center is the largest branch within the Springfield-Greene County Library District. It has ten branches that serve nearly 275,174 residents, five in Springfield and five in surrounding areas. The “I Survived” young adult book series provides the basis for STEAM programming at a Missouri public library.